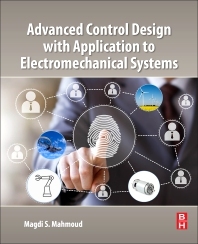 Advanced Control Design with Application to Electromechanical Systems represents the continuing effort in the pursuit of analytic theory and rigorous design for robust control methods. The book provides an overview of the feedback control systems and their associated definitions, with discussions on finite dimension vector spaces, mappings and convex analysis. In addition, a comprehensive treatment of continuous control system design is presented, along with an introduction to control design topics pertaining to discrete-time systems. Other sections introduces linear H1 and H2 theory, dissipativity analysis and synthesis, and a wide spectrum of models pertaining to electromechanical systems. Finally, the book examines the theory and mathematical analysis of multiagent systems. Researchers on robust control theory and electromechanical systems and graduate students working on robust control will benefit greatly from this book.